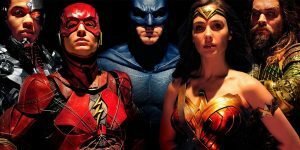 Justice League is the latest film in the DC Extended Universe, and perhaps the last attempt by Warner Bros. to imitate Disney’s success with Marvel Studios. Kyle goes back to the Golden Age of Comics and traces the origins of this superhero team from the lesser known Justice Society of America to the Justice League presented by director, Zack Snyder. Claire contextualizes the popularity of these heroes, the aspirations DC had for its film universe, and then explains the business and creative process that led to this film. Our hosts conclude with their thoughts on the movie and draw comparisons both to Marvel and other DC films.